Thomas K. Herren, born and raised in Lexington, Kentucky, has strong ties and commitments in the Central Kentucky area. Tom is a graduate of the University of Kentucky School of Law. In 1994, Attorney Herren became board certified in civil trial law by the National Board of Legal Specialty Certifications (formerly NBTA), an ABA accredited organization. The requirements for certification include: numerous trials to jury verdict or judgment; continuing legal education; submission of trial court briefs for review; attorney and judicial references; proof of good standing in the legal profession; and a daylong examination on trial techniques, evidence and ethics. An attorney who has taken the extra time and effort to achieve board certification can be justifiably proud. He has also earned Fellowship in the American College of Trial Lawyers. Fellowship is by invitation only to the top one percent of outstanding trial lawyers who are considered the best in their state. 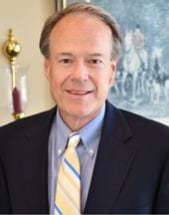 Besides being lead counsel on several significant cases (more fully described below), Tom Herren has been on the Board of Governors of the Kentucky Academy of Trial Attorneys since 1988. He has served as District Vice-President. Tom is also an active member in the Association of Trial Lawyers of America, the Kentucky Bar Association, and the Fayette County Bar Association, serving on various committees. Board member Metro Group Homes, Inc.
Fay. Co. Bar Assoc. Law Referral Comm.